Freemasons lives are based on honor and integrity, and believe that honesty, compassion, trust, and knowledge are important. 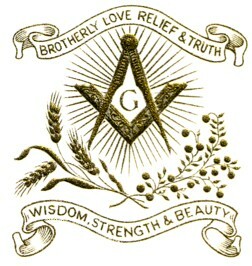 Freemasons respect the opinions of others and strive to improve and develop as human beings. A continuous pursuit of knowledge, ethics and spirituality brings more meaning to Masons lives. Masons make a difference in the communities through charitable giving, community service, and volunteerism. A Mason spends quality time with his family, shows love and support to his parents, wife and children. Masons value liberty of thinking and acting, within due and proper bounds.